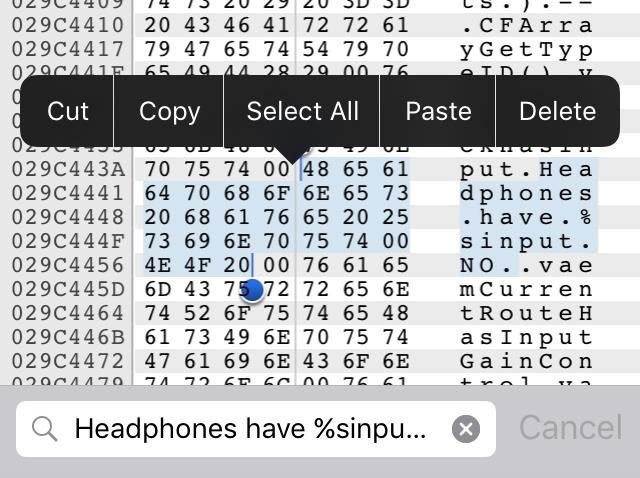 A few lines of code in the iOS 9.1 library cache found by Chase Fromm (@uloshe) indicate that Apple could be working on making iPhones that are Li-Fi compatible. Li-Fi, which transmits data through light waves rather than radio waves, is still in the experimental stage of development. However, researchers have achieved speeds using Li-Fi that make Wi-Fi feel like you're on an old 56 kilobits per second (kbps) dial-up modem. Researchers at the University of Oxford attained bi-directional speeds of 224 gigabits per second (Gbps) using Li-Fi, which would be about a 28 gigabytes per second (GB/s) transfer rate. This means you could download a 160 GB 4K movie in about five or six seconds. Compare that with the theoretical top Wi-Fi speed of roughly 7 Gbps (900 megabytes per second (MB/s) transfer), and downloading the same 4K movie would take you just about three minutes. Yeah, that's still pretty fast, but that's still a stark difference between the two. Li-Fi is transmitted through LED bulbs. At this point, you don't need to be in direct sight of the bulb for data to transfer, but the range is limited, as light can't pass through walls. This does have the added benefit of securing your connection, though, since attackers would need access to the same light source. The technology is still a ways off, and who knows if/when/how it will be deployed for consumer use. Fromm tweeted another image that seems to give further evidence that the next iPhone will not have a 3.5 mm headphone jack. This code comes from the iOS 9.3 beta 1.1, and lends credence to the rumor that the iPhone 7 will only feature a Lightning port. Or, I suppose, there could be multiple Lightning ports, which would allow users to listen to headphones and charge at the same time without the need for Bluetooth headphones or a wireless charger? Just a thought. However many Lightning ports appear on the next iPhone, there's a good chance they will be water-resistant, although Apple hasn't gained approval for that patent just yet.